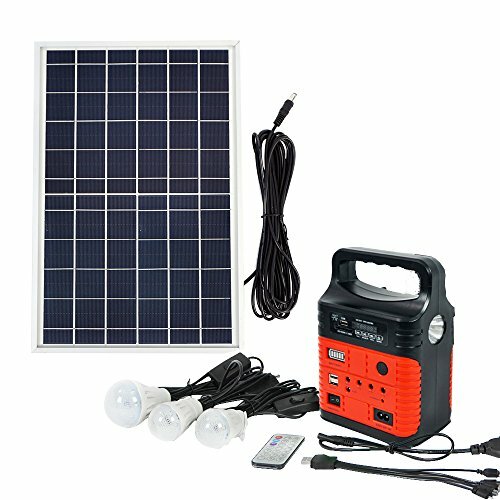 A rechargeable battery solar generator system with solar panels, storage solar generator power to battery and supply power to LED light and mobile phone. 10 watte 6V solar panel, 7.5Ah 3.7V battery, 2 USB 5V DC Output for your tablets, iPhone, iPad, laptops, fans and TV charged up, or lights. Use rechargeable battery and high quality solar panels, with lifetime more than 10000h. Widely applicable to home and outdoor.